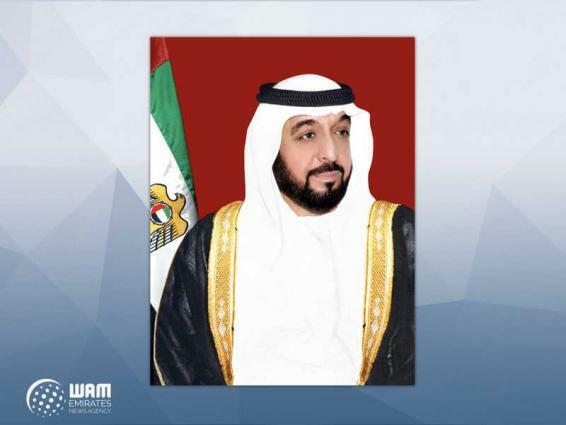 ABU DHABI, (UrduPoint / Pakistan Point News / WAM - 17th Apr, 2019) In his capacity as Ruler of Abu Dhabi, President His Highness Sheikh Khalifa bin Zayed Al Nahyan, has issued a law amending provisions of Law No. 19 of 2005 concerning real estate sector in Abu Dhabi. The new law stipulates amendments to Articles 3 and 4 of the 'Real Property Law'. As for Article 4, the amendment stipulates that the holders of a 'usufruct' or 'musataha' for more than ten years shall have the right, without the consent of the landlord to dispose of the property, including the right of mortgage, however the landlord may not mortgage the property except with the consent of the usufruct or musataha holder. In both cases, the parties may agree otherwise. His Highness Sheikh Mohamed bin Zayed Al Nahyan, Crown Prince of Abu Dhabi and Deputy Supreme Commander of the UAE Armed Forces, directed H.
H. Sheikh Khalid bin Mohamed bin Zayed Al Nahyan, Chairman of the Executive Committee and Member of the Abu Dhabi Executive Council, to review the emirate's real estate sector development in line with international trends and standards. Sheikh Khalid bin Mohamed said, "Updating the Real Property Law reflects the leadership's support and vision to develop the emirate's economy, with the guidance of His Highness Sheikh Mohamed bin Zayed Al Nahyan, Crown Prince of Abu Dhabi and Deputy Supreme Commander of the UAE Armed Forces, and monitoring of H.H. Sheikh Hazza bin Zayed Al Nahyan, Deputy Chairman of Abu Dhabi Executive Council, who have both stressed the importance of updating legislation to accelerate economic growth and the development landscape of Abu Dhabi." His Highness noted that the amendments will have a positive effect on the real estate sector, and will encourage investors to acquire land in designated investment zones within the Emirate of Abu Dhabi, with ample room for development opportunities.